Following the annual Record Store Day last month, Rococo Systems and Designs is holding a Vinyl Celebration Day on Saturday 20th May. Whether you have rescued your old record collection from the attic, or recently purchased a limited edition new pressing, we welcome you to join our event and enjoy music how it was meant to be heard. At Vinyl Celebration Day we will be discussing the whys and wherefores of vinyl playback, as well as the history of the iconic Linn turntable, the Linn Sondek LP12. Record sales are at a ten-year high, so what better time to hear your favourite songs on one of the highest quality turntables on the market? Bring your favourite vinyl record along, and listen to it played on an amazing Linn system. If you currently own an LP12, please feel free to bring it to the event. Our team of experts will be more than happy to take a look at it and advise you on possible upgrades. 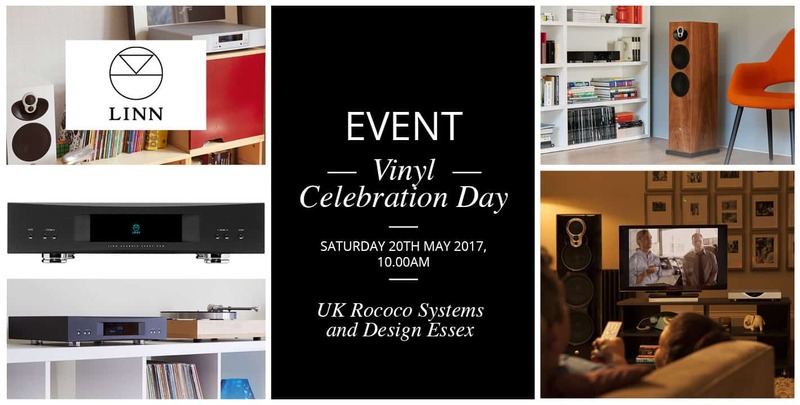 Vinyl Celebration Day will be taking place Saturday 20th May 2017, 10:00am, Rococo Systems and Design Essex. The event is free of charge; however we do ask that you reserve your place online beforehand. If you can’t attend this event, but are still interested in our Linn turntables or products, please feel free to book at appointment at one of our offices. You can contact us online or call us directly on 020 7454 1234 (London) or 01277 890 888 (Essex).